JTK Entertainment – Boutique style Wedding and Sweet 16 Entertainment focusing on personalized events and attention to detail! One of the most unique experiences with JTK Entertainment is that we encourage our clients to pick the DJ that they feel is the best fit for them on their special day. Unlike other entertainment companies who tell you who they can put on your celebration (sometimes finding out who your dj is the week of your event), we want our clients to know the DJ of their event from day 1 and to have direct communication with them. Choosing the right DJ is a decision that can really influence the outcome of your Wedding! We believe the connection between the client and their DJ is important, and that the clients vision should be understood by the DJ of their choice! Every DJ on our team has a very unique approach, style & personality, enhancements offered, and of course demand and pricing. No two events are alike for us, and we go above and beyond for our clients when creating personalized celebrations for them. We go through every detail of your special day, from start to finish, to make sure that each moment reflects the personality of each individual client. See why so many couples have trusted our company with their wedding! We’ll show you how we make weddings truly unique & personalized for all our couples! With some of the industry’s most sought after club DJ’s, it’s safe to say a “JTK” Sweet Sixteen will leave you and your guests raving about your celebration! Whether it be a corporate event, prom, Christening, engagement, anniversary, or any other celebration, we have the talent, knowledge, and attention to detail that will allow your vision to come to life. 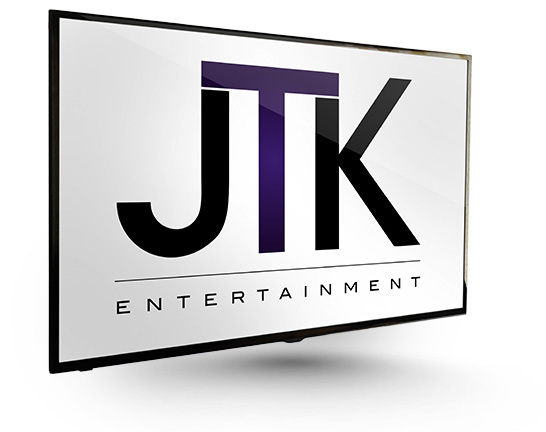 JTK Entertainment offers the highest quality intelligent lighting systems, uplighting, monograms, plasma screens, photo booths and much more! JTK Entertainment, has served the Tri State area for over 20 years, with a commitment to truly personalized events, outstanding customer service, and quality entertainment. Throughout the years, thousands of brides, Sweet 16 girls, and other clients have trusted us in helping them celebrate their special event. There is nothing cookie cutter about our services and our approach. Our Event DJ/MC’s are some of the most sought after talent in the industry and are professionally trained DJ/MC’s with exceptional knowledge in the private event industry and excel in the ability to make your event one that will leave your guests raving afterwards. No two events are alike for us, and we go above and beyond for our clients when creating personalized celebrations for them. After all, this is YOUR celebration! There are many life events that are celebrated that require exceptional DJ talent! Let us help you choose the best one and make it an unforgettable event! Contact us to meet with the talent of your choice and let’s discuss your special day.